The Designer’s main responsibility is space planning and specifying systems and ancillary furniture and providing this information to team members in an organized, accurate and prompt manner. The Designer is expected to respond to requests from internal and external clients in a professional manner at all times. A Designer communicates with the Team Leader-Design Director on a daily basis, if necessary, to help facilitate quick turnaround if deadlines can’t be met within the team. A Designer shall work closely with the sales team to leverage design capabilities to win clients. Request and manage quotes from various furniture and upholstery manufacturers, and enter detailed information accurately in CAP for proposals and order entry. Meet with internal and external clients to determine job scope and project timeframe. Communicate with all team members on a daily basis in terms of workload, current turn-around time, availability and schedule. Communicate and coordinate directly with general contractors and/or electricians on a per project basis. Ability to complete site verifications and take field measurements on all projects. Complete specification checks for other designers within the company. Log design time into accounting software on a daily basis. Must be able to sell design for fee to a client and be able to quote hours for a job. Full understanding and working knowledge of the design process from programming through installation and ability to move process along into each phase. Ability to interact with clients, asses their needs, present ideas and solutions in a professional manner and explain and articulate final design solution so that the client has complete understanding. Ability to “set-up” and organize a project per company’s written procedures. Thorough understanding and knowledge of fire, safety and ADA codes related to interior design. Full understanding of company’s Workspace product ordering, invoicing, delivery and installation process. Ability to develop design contracts, assessing design scope and associated design hours. Full understanding and ability to discount bill of materials. Be self-starting, self-directed and accountable to team. Be a leader in the design department, lead by example. Ability to manage multiple team member interruptions. Ability to work jointly on projects with other designers. Ability to give direction to another designer assisting on projects. Understanding the importance of and consistency and attention to detail. Consistent and accurate time keeping. Working knowledge of company’s Workspace time logging system. Able to use time most efficiently and turn work around quickly. Must be a team player and abide by company’s strong core values and beliefs. 2 + Years of experience in the field at least 2 years at the Dealership level. 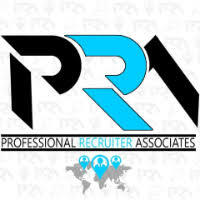 For immediate consideration, please forward a copy of your current resume to info@profrecruiters.com referencing job #1743 or a link to this job.